December 10, 2014 â€" China Gold International, as Gold Sponsor, helped raise fund for the Canadian Cancer Society. For the third year in a row, China Gold International was proud to be the Gold Sponsor for the Canadian Cancer Society annual charity gala. 800 guests attended the gala this year and the event raised over $300,000 for the Canadian Cancer Society. "The China Gold International and Canadian Cancer Society partnership is valuable for our organization," said Mr. Bing Liu, the CEO and Executive Director of the Company. "We observe Canadian Cancer Society's incredible passion around fighting the disease. It's an opportunity for us to make a difference in the local community." "2014 Canada - China Tibetan Culture Week" was officially opened at the Fairmont Hotel, Vancouver on November 2, 2014. It was jointly organized by the Chinese State Council Information Office, People's Government of the Tibet Autonomous Region and the Chinese Consulate General in Vancouver. Jerry Xie, the Executive Vice President of the China Gold International Resources Corp., was invited to join the opening ceremony. Over 300 guests, including local celebrities and overseas Chinese representatives attended the opening ceremony. Doji Tsju, Vice Chairman of People's Government of the Tibet Autonomous Region, commented, "The event will provide Canadians an opportunity to get to know Tibet. We believe that the friendship between Chinese and Canadian will be more solid than ever". Jeff Meggs, Vancouver City Council, commented, "The Culture Week provides BC citizens precious opportunities to appreciate the awe-inspiring beauty of Tibet". Right: Jerry Xie, Executive Vice President, China Gold International Resources Corp.
October 20-23, 2014 – China Gold International attended the 16th CHINA MINING Conference and Exhibition 2014 . October 20-23, 2014 – China Gold International attended the 16th CHINA MINING Conference and Exhibition 2014 hosted by the Ministry of Land Resources, Tianjin Municipal Government and China Mining Association at Tianjin Meijiang Convention Center. Mr. Xin Song, Chairman of China Gold International, is giving a speech at the 16th CHINA MINING Conference and Exhibition. Mr. Xin Song, Chairman of the Company and Mr. Daming Jiang, Minister of Land and Resources visit the exhibition booth. S&P Dow Jones Indices Canadian index services added China Gold International to the S&P/TSX SmallCap Index as the result of the annual review of the index. These changes will be effective after the close of trading on Friday, Sept. 19, 2014. September 10-12, 2014 - China Gold International attended the China Gold Congress and Expo hosted by the China Gold Association and the World Gold Council (WGC). The three day Congress was China's biggest gold industry event of the year. More than 1,800 people attended. Key participants included senior Chinese and global gold mining companies such as Newmont Mining Corporation, Barrick Gold Corporation and Eldorado Gold Corporation. Major exchanges such as the Shanghai Gold Exchange, Shanghai Futures Exchange, Toronto Stock Exchange, Comex and CME and major banks and financial institutions such as ICBC, RBC, and Standard Bank also attended. Mr. Aram Shishmanian, CEO of the World Gold Council, Mr. Xin Song, President of the China Gold Association, President of China National Gold Group and Chairman of China Gold International Resources signed a "Comprehensive Strategic Cooperation Agreement" at the official launch of the China Gold Congress and Expo 2014 on Sept 11, 2014. Mr. Xin Song, Chairman of the company commented at the signing ceremony, "This partnership aims to realise our shared ambitions to encourage international enterprise in China and shape the ongoing growth of this important and rapidly changing market. The World Gold Council is a strong advocate for the development of the gold market. The collaboration at this year's China Gold Congress marks the first step in a long-term relationship which we intend to foster over the coming years." We are pleased to inform you that on July 4, 2014, China Gold International Resources (the “Company”, “CGG”) was assigned a “BBB-“ long-term corporate rating with “Stable Outlook” by Standard & Poor’s Rating Services (“S&P”). At the same time, S&P assigned the “cnA-” long-term Greater China regional scale rating to the Company. S&P also assigned the “BBB-” long-term issue rating and “cnA-” long-term Greater China regional scale rating to the US$500 million debt offer that the Company announced in a news release dated July 10, 2014. S&P expects CGG “to receive support from its parent CNG (China National Gold Group) owing to the company's status as a "highly strategic" subsidiary”. S&P noted, “We believe extraordinary government support will indirectly flow to CGG through CNG”. S&P considers the Company’s cash production costs to be “in line with the industry average” and the liquidity to be “adequate”. Mr. Bing Liu, CEO of the Company, commented, “We keep reaching milestones in our Company’s development. We received positive ratings from a premier rating agency. Our ratings are comparable to those received by top-tier mining companies. We are successfully managing a large-scale bond offering. Our goal is to keep capitalizing on our strengths and grow CGG into a preeminent global mining company”. On July 4, 2014, the Company’s controlling shareholder and the largest gold producer in China, China National Gold Group Corporation (“CNG”), received ratings from both Moody’s Investors Services (“Moody’s”) and S&P. Moody's assigned a first-time “Baa2” issuer rating to CNG with “Stable Outlook”. S&P assigned a “BBB” long-term corporate credit rating and a “cnA” long-term Greater China scale credit rating to CNG with “Stable Outlook”. S&P noted “a "high" likelihood of timely and sufficient extraordinary support for the gold producer from the Chinese government”. S&P expects that “CNG will benefit from a satisfactory ramp-up of mine production and maintain good profitability over the next 12 months due to its good cost management”. Kaven Tsang, a Moody's Vice President and Senior Analyst, said that CNG’s rating reflected “(i) the company's leading market position in gold production in China and its strong ability to acquire gold mines in China; (ii) its high level of gold reserves; (iii) its integrated business model, which includes diversified product operations, multi-location production and the output of copper and molybdenum; and (iv) production costs, which are comparable to those of global peers”. 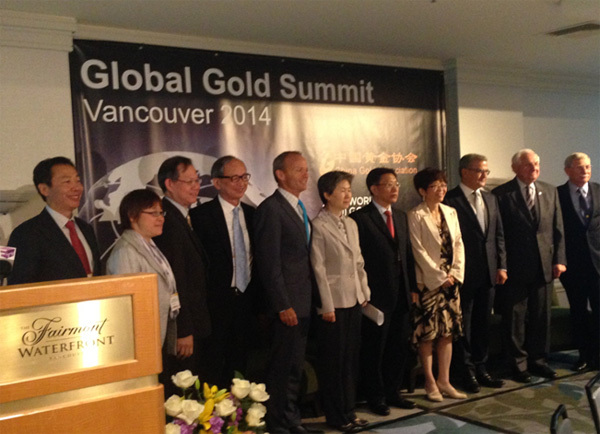 On June 18th, 2014 in Vancouver, British Columbia, Canada, the Company successfully organized and co-managed the 2014 Global Gold Summit event. This Summit was co-hosted by us in collaboration with China National Gold Group, the largest Chinese gold producer and a major shareholder of the Company, along with the World Gold Council. The Company hosted about 170 participants from the international mining, financial and legal communities. Mr. Aram Shishmanian, CEO of the World Gold Council, Mr. Xin Song, President of the China Gold Association, President of China National Gold Group and Chairman of China Gold International Resources, members of the government and senior executives from the financial and mining community spoke about the importance of partnership between China and Canada specifically in the gold mining industry. The speakers and panelists shared their understanding of the present situation in the gold market and their vision for the future of the industry. World Gold Council and China Gold Association signed a "Certificate of Alliance" to signify the collaboration between the two organizations. Dr. Xin Song commented, "We hope that our actions to establish deep-rooted partnerships with international and Canadian mining organizations will encourage other Chinese and global enterprises to make BC their second homeland, bringing more business and employment opportunities to the province". The Company intends to host similar events in the future and we are open to hearing from other industry leaders about possible collaborations in this matter. China Gold International had a successful Annual General Meeting of shareholders (the "AGM") on June 18, 2014 in Vancouver, Canada. At the AGM, shareholders considered and approved all resolutions. Directors and Management of the Company elaborated on Company's growth plans and answered shareholder's questions. Mr. Xin Song, Chairman and Executive Director of the Company shared his vision for the Company. 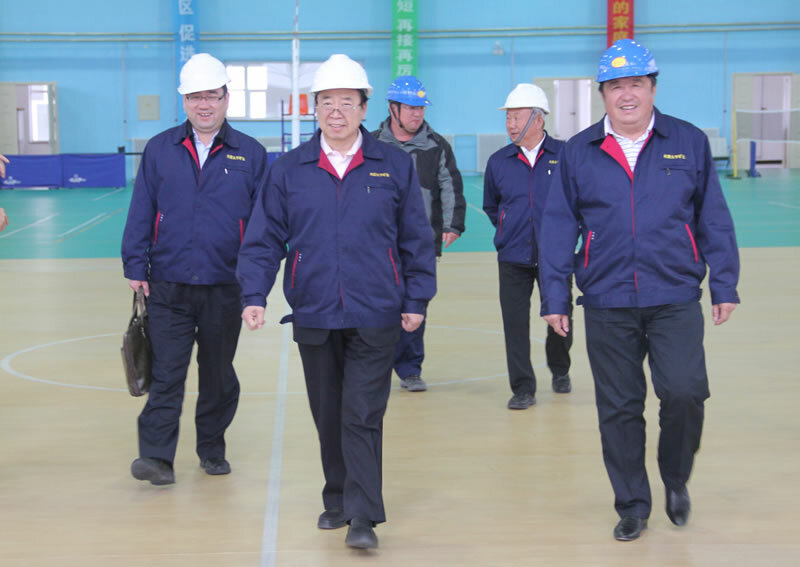 April 14, 2014 – Mr. Songlin Zhang, Vice President and Chief Engineer of China Gold International Resources, receives prestigious government recognition. China Gold International Resources (the "Company") is pleased to announce that Mr. Songlin Zhang, the Company's Vice President and Chief Engineer, was selected into the 2013 "Thousand Talents Program" by the Organization Department of the Communist Party of China Central Committee ("ODCCC"). Mr. Zhang is the first executive in the Chinese gold mining industry to be honored with this recognition. "Thousand Talents Program" (the "Thousand Talents Plan" or "Recruitment Program of Global Experts") was initiated by the State Council in December 2008 as a high-level talent recruitment program. The intention of this program is to attract leading international or returning-Chinese experts to work in China and to promote innovation and technological development in various industries. All certificate holders under the program are preeminent technical expects or academic leaders in their fields. 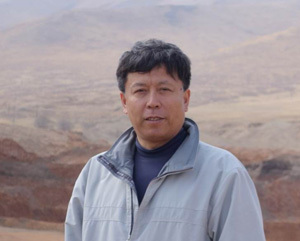 An experienced professional with unique global vision, Mr. Songlin Zhang helped the Company build efficient management system in accordance with the international technology standards, establish a global team of talents and complete a high-quality independent technical report (NI 43-101) for the Jiama Mine. Mr. Zhang also made significant contribution to accelerating company's overseas resources development and investment risk control. The government of China also granted RMB 1,000,000 to Mr. Songlin Zhang in recognition of his superior achievements. 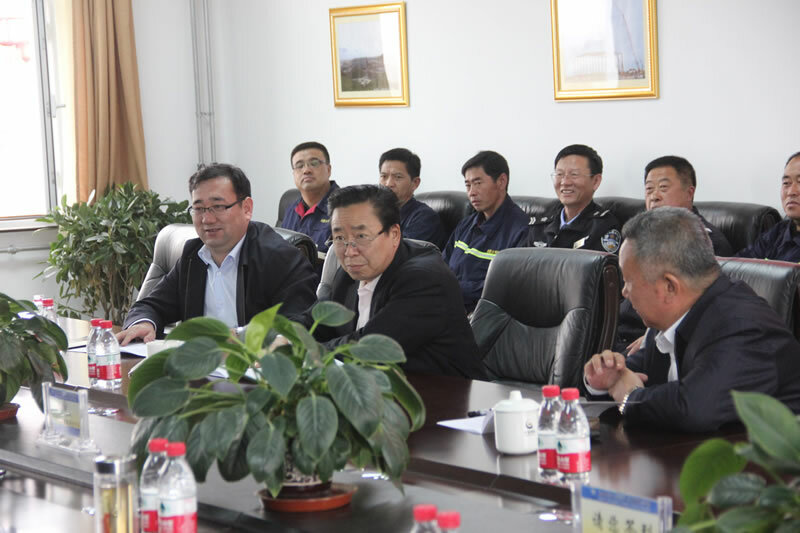 April 10, 2014 – Inner Mongolia Autonomous Region government officials visit CSH Mine. 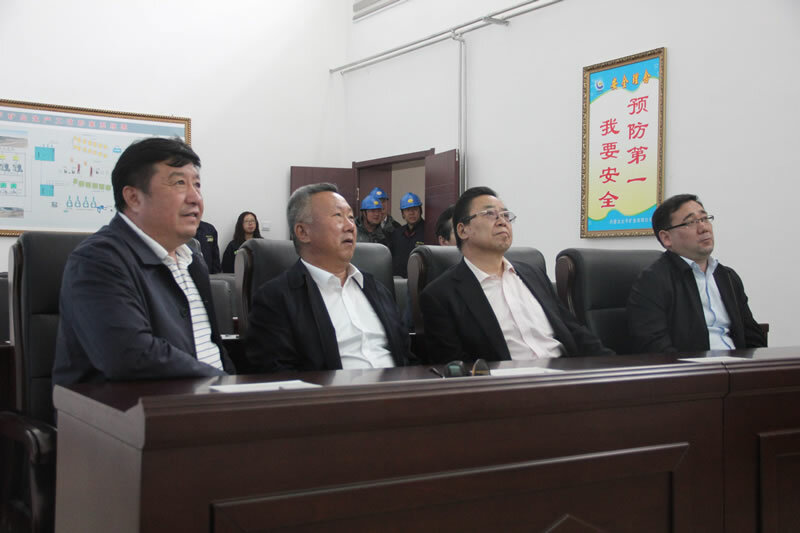 On April 10, 2014, Mr. Hu Er Cha, NPC Deputy Director and Chairman of Workers’ Union of Inner Mongolia Autonomous Region, accompanied by Mr. Tao Ge Tao, NPC Deputy Director and Chairman of Workers’ Union of Bayan Nur City, visited China Gold International’s CSH Mine to review mine site operations. 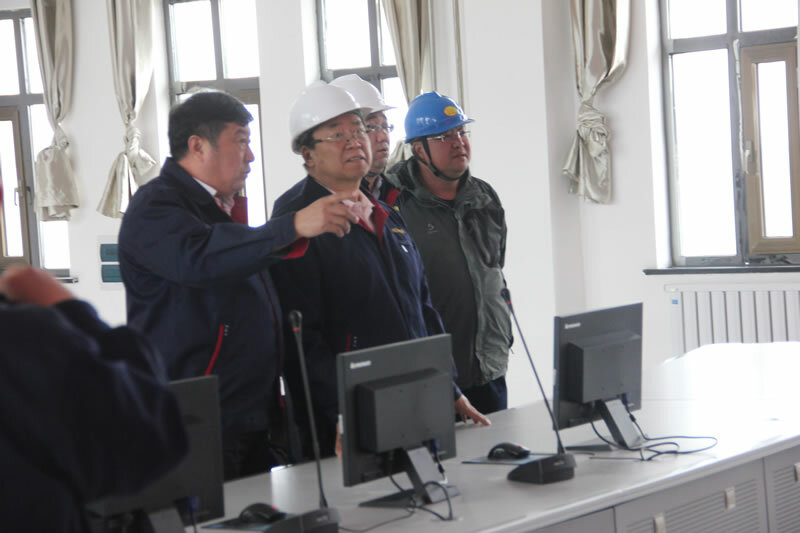 Mr. Hu, along with his delegation, accompanied by Mr. Lisheng Zhang, chairman of Inner Mongolia Pacific Mining Co. Ltd., a subsidiary of China Gold International Resources, which owns and operates the CSH Gold Mine and other senior executives from the mine site, inspected production sites, visited east and west pits, production scheduling center and activities center for employees. 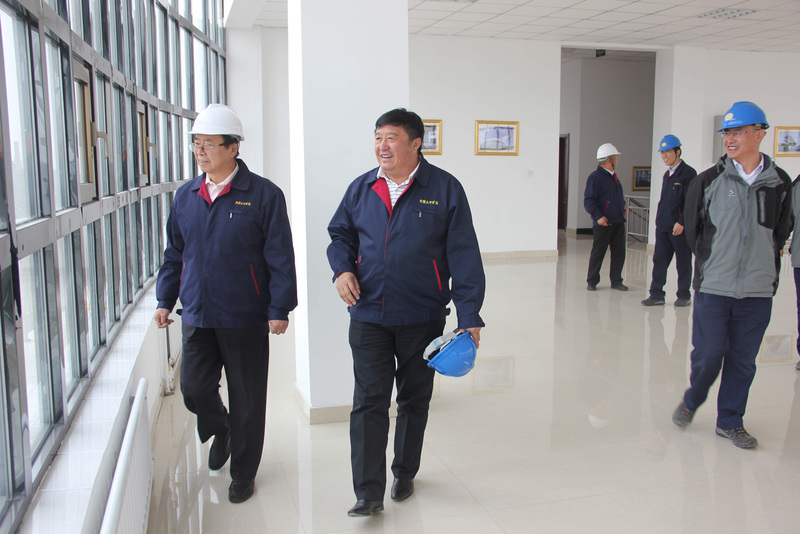 Mr. Hu and the entire team also carefully reviewed employees’ salaries, benefits and welfare. 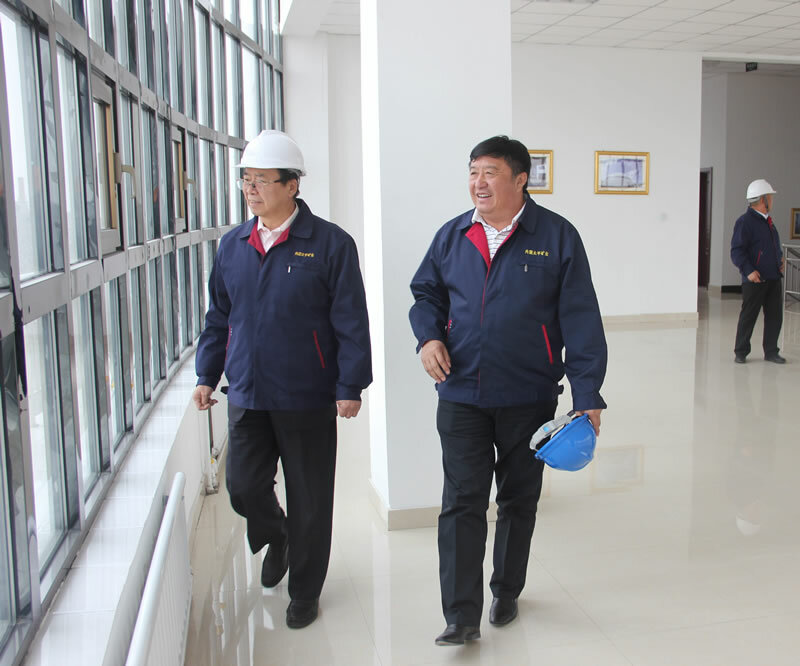 Mr. Hu and the entire team spoke highly of CSHs progress and achievements in operation, workers’ conditions and social responsibility practice. China Gold International Resources Corp. Ltd cordially invites you to attend the following presentations in relation to the Company’s 2013 annual results announcement. 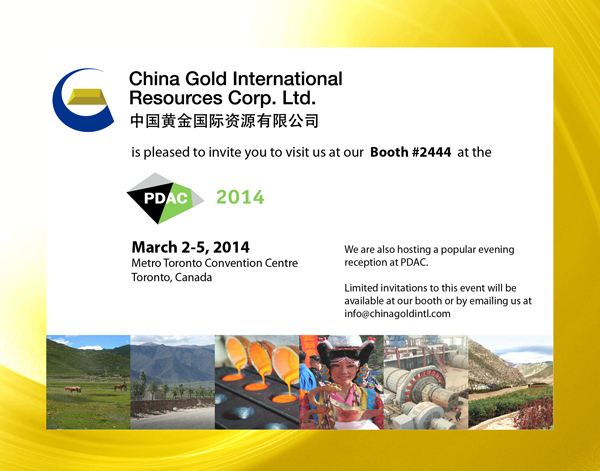 March 7, 2014 - China Gold International Opens The Market. On March 7th, 2014 Mr. Jerry Xie, the Executive Vice President and Corporate Secretary of China Gold International (“CGG”) joined TSX officials to open the market. CGG provides unique opportunity for international investors to get investment exposure to the Chinese mining industry. With two profitable and growing mines and an opportunity to acquire substantial assets internationally CGG is uniquely positioned to deliver growth to its shareholders. CGG has always applied the highest standards of compliance and disclosure and serves as an exemplary issuer for other foreign companies considering listing on TSX. TSX encourages all emerging market companies especially Chinese companies to get listed on its board. Toronto Stock Exchange and TSX Venture Exchange are the world's number one listing venue for mining companies. As at January 31, 2014, the Exchanges were home to 1,612 mining issuers that have a combined market capitalization of $269 billion. January 24, 2014 – Mr. Xin Song, CEO of China Gold International met Mr. John L. Thornton, Co-Chairman of Barrick. Productive discussions about future strategic cooperation were held. January 17, 2014 – Mr. Xin Song, CEO of China Gold International welcomes Mr. Kevan Cowan, President of TSX in Beijing. On January 17th, Mr. Xin Song, the CEO of China Gold International (“CGG”) and President and Party Secretary of China National Gold Group Corporation, welcomed Mr. Kevan Cowan, President of TSX in Beijing. The two sides had an in-depth discussion on the trends in Canadian capital markets and listing regulation and also exchanged their view on the importance of expanding future cooperation. Mr. Song stated that CGG, listed on TSX, has always applied the highest standards to adhering to the compliance obligations. The company is aiming to continue to disclose corporate information objectively and accurately, comply with regulations, and focus on growing production and effective management. The company’s goal is to honor the support of its shareholders by delivering growth and solid operational results. Mr. Kevan Cowan commented that TSX encourages all emerging market companies especially Chinese companies to get listed on its board. CGG plays a very important role on TSX. CGG has an impeccable image in the international capital markets and it is highly recognized by all the stakeholders in the market for its perfect compliance, accurate information disclosure and excellent overall performance. Mr. Cowan emphasized that TSX will fully support CGG by providing best services in all the related aspects. The two sides shall future strengthen their communication and cooperation to achieve win-win results. Pictured left to right: Mr. Jerry Xie, Executive Vice President and Corporate Secretary, Mr. George Gao, Chief Representative, Asia, Toronto Stock Exchange & TSX Venture Exchange, Mr. Xin Song, CEO and Executive Director of China Gold International, Mr. Kevan Cowan, President, TSX Markets and Group Head of Equities, TMX Group, Mr. Kevin Sampson, Vice President, Business Development & Strategy, TMX Equities Trading, Mr. Zhanming Wu, Senior Executive Vice President and Executive Director.